A number of artists who were identified with the Portuguese rock boom of the 1980s made a connection with fado, no doubt as a strategy to localize the otherwise ‘placeless place’ of Anglo-American pop and rock. Mler Ife Dada, a group formed in 1984 in Cascais, provide a good example of this strategy. In 1986, the group were joined by singer Anabela Duarte, who participated on two seminal albums, Coisas Que Fascinam (1987) and Espírito Invisível (1989). The latter contained a song called ‘Dance Music’ which set up the complexities of the Portuguese popular musical field simply but effectively: over a funk arrangement of bass, horns and guitar, an angry male voice asks in a semi-rap (in English), ‘Why do you have to hear dance music on your radio / if you’re not dancing, you’re listening to the radio?’ and then ‘Why do you have to hear this song in English language / If you’re not English and this ain’t no English song?’ The first album contained a number of varied elements, from experimental pop-rock with dada-ist overtones to music informed by an explicit internationalism. 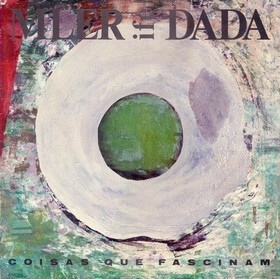 ‘À Sombra Desta Pirâmide’ includes Arabic sonorities; ‘Siô Djuzé’, a brief duet between Duarte and Rui Reininho uses the style of Cape Verdean coladeira; ‘Passarella’ mixes English lyrics with Portuguese; and ‘Desastre De Automóvel Em Varão De Escadas’ uses random lines of German alongside wordless singing and a musical accompaniment that evokes the honking of car horns. ‘Alfama’ is clearly a gesture towards fado, performed not by a particular instrumental style but via the sense of place evoked in the lyrics and by Duarte’s voicing of the words. Against a minimal electric guitar, an associative style is used in which a number of features are hymned: the Alfama of painted shards, of paint, of winds on the river, knife tips, alpaca, famous people, the flea market, and ‘knife-like winds / that slice Alfama / into doors painted / with the fame of fado’. The lyrics involve a series of plays on words and heavy use of alliteration so that the ultimate number of associations is multiplied, the portrait becoming more than the sum of its parts, an intricate word labyrinth that echoes the tumbling streets of its subject. We need to take the fado further. Cut its corsets, let it breathe. There have been some bold attempts, but a cyber-fado would be something completely new. In Planeta Phado, I tried to mix Blade Runner with fado. The cloning and the mechanisms of fiction and the multiple directions, or simultaneous directions, the matrix, cyberpunk, is something that has not been attempted yet in fado. Phado Planet is there. Duarte did not specify who had been responsible for the previous ‘bold attempts’ to ally fado with other sonic possibilities but she might have been thinking of António Variações. Variações (a pseudonym taken from the Portuguese word for ‘variations’) was responsible for ‘queering’ both fado and Portuguese pop by fusing elements of folk, fado, new wave and other contemporary pop forms in his music and by applying an openly homosexual appropriation of Portuguese musical tradition. Prior to his premature death in 1984, Variações released two revolutionary albums Anjo de Guarda (1983) and Dar & Receber (1984), the former containing a version of ‘Povo Que Lavas no Rio’ which removed the song from traditional fado accompaniment by adding synthesizer, drums and electric bass. Vocally, the song is not so far removed from Amália’s version, with Variações’s vocals often operating on a high, ‘feminine’ register, and this was something the singer seemed to recognise in another song on the album, ‘Voz-Amália-de-Nós’, where he sings ‘We all have Amália in our voice’. At the same time, this register alternates with a deeper ‘blank croon’ (more noticeable on the album’s third track ‘Visões-Ficções (Nostradamus)’), suggesting a hitherto unexplored connection between Rodrigues, Nico and Brian Ferry, another of the singer’s influences. Variações’s albums were popular in Portugal, suggesting the ways that the 1980s might sound and playing a dominant role in interpellating young people into the pop world, including those musicians (the fadista Camané among them) who came together in 2004 as the group Humanos to record a highly successful album of songs written by Variações. Paulo Bragança is an interesting figure to mention in this context. Like Variações, he had a sacrilegious approach to fado that was nonetheless rooted in a serious consideration of fado’s possibilities. Declaring himself an enemy of the genteel tradition of the puristas, Bragança took upon himself the role of a ‘true fadista’ by drawing comparisons between the original fadistas and the punks. He would perform on the fado circuit barefoot, dressed in jeans, T-shirts and leather jackets and making declarations such as ‘Fado for Portugal is like a sacred altar covered in dust. And if someone dares to clear the dust, he’ll be shot.’ Bragança’s first album Notas Sobre a Alma (1992), which featured the guitarra of Mário Pacheco and the viola and production of Jorge Fernando (a major figure in what was to become novo fado), was restricted to mostly traditional fado, apparently at the request of his record company. 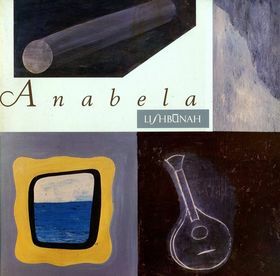 His second, Amai (1994), was a different affair, featuring a wide range of instruments (synthesizers, samplers, organ, guitarra, accordion, and strings) and styles (fado, flamenco, rock, pop and Brazilian music) and containing a number of self-written songs and cover versions of non-fado material, such as Nick Cave’s ‘Sorrow’s Child’ (in English) and Heróis do Mar’s ‘Adeus’. The bringing together of Cave’s lyric and Pacheco’s guitarra, as mentioned in a previous post, was designed as a way of showing how saudade and a fadista worldview could reside in musics outside the Portuguese world. In 1996 Luaka Bop, the label created by David Byrne and Yale Evelev to promote progressive world music, reissued Amai for an international market; Bragança and Carlos Maria Trindade of Madredeus also contributed a track to Red Hot & Lisbon (1999), a compilation released by Luaka Bop as a snapshot of Lusophone music at the time of Expo 98 in Lisbon. Bragança released a third solo album in 1996 containing traditional fados and a fourth (Lua Semi-Nua) in 2001 which reprised the large instrumental palette of Amai and contained a number of songs written by pop legend José Cid, who also produced the album.